Can’t Believe I Agree with the Looney Women on The View!! 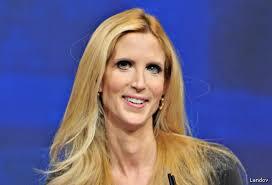 Ann Coulter is a conservative and a Christian. She was invited to speak at Berkeley University in California and the liberal left are going crazy. They protested to the point where the University rescinded her invitation. And Coulter is not one to back down and said she’ll be there anyway. Bravo! The battle lines are drawn and it will be interesting to see how this plays out. I am plied her current age and fortitude. But,I cannot believe that I agree with the loopy women on The View, but on this I do agree with them.